Short Essay – Single Motherhood – Is It Truly the Panacea the Feminists Claim It to Be? | It's the Women, Not the Men! Short Essay – Single Motherhood – Is It Truly the Panacea the Feminists Claim It to Be? According to lesbian-led, radical, second-wave feminism, single motherhood is the pinnacle of feminist lifestyles. Unless the woman has the misfortune to bear a son, her life is totally devoid of men. And, this is the ultimate feminist goal – a world filled with women, sans all inconvenient men. Hurrah! 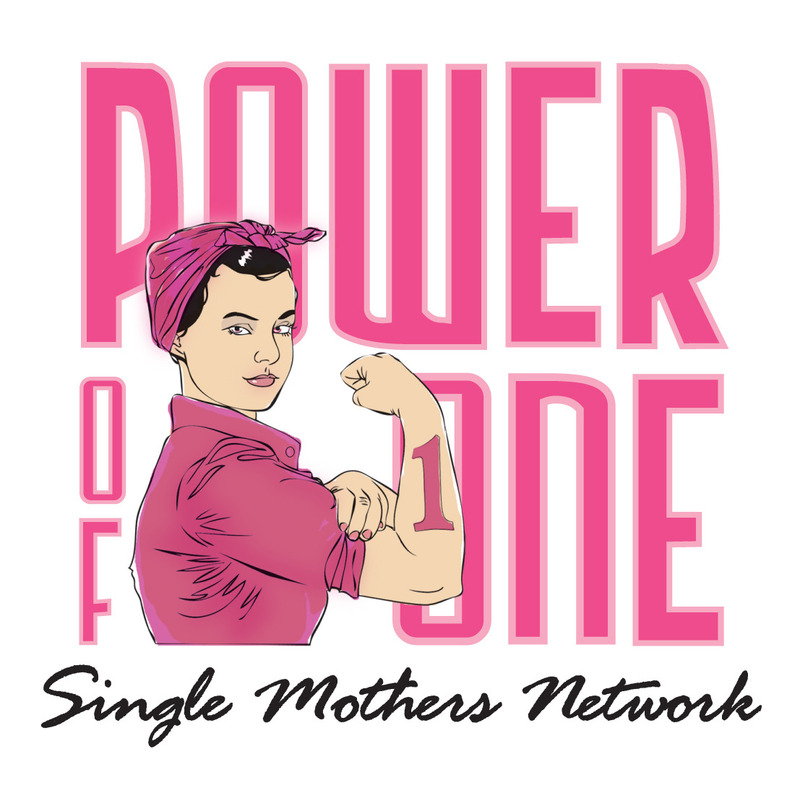 Let’s celebrate single motherhood! So, how’s that workin’ out, ladies? Not so good? Gee, what a surprise. 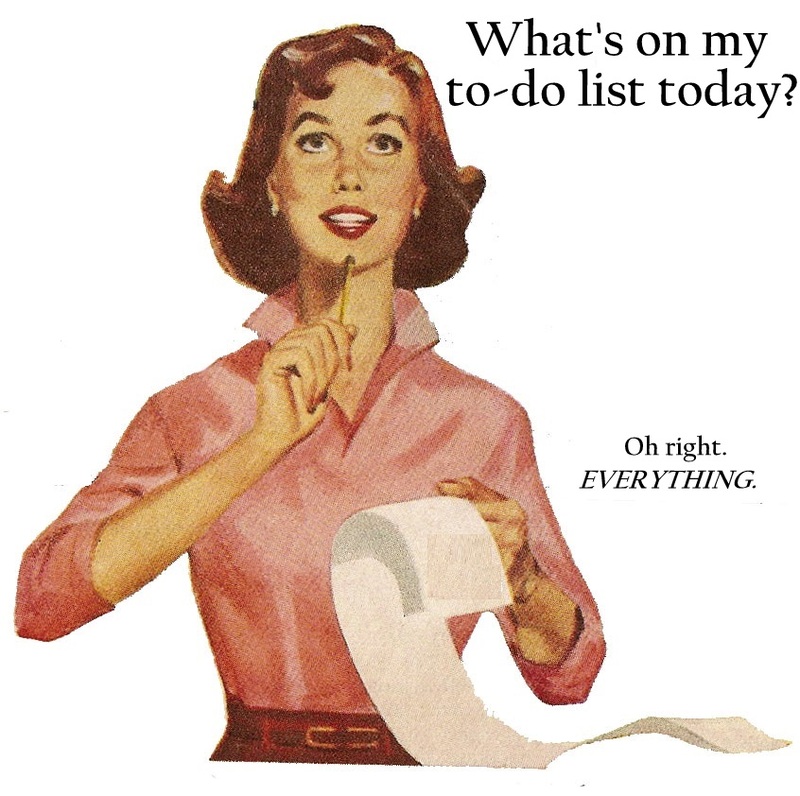 What do ya mean you’re stressed, exhausted, frustrated, confused, lonely, poor or just plain pissed-off all the time? What do ya mean your kids are out of control, your savings account is on zero, your credit cards are maxed out and your social life is non-existent? What do ya mean you are poorer than you’ve ever been in your life, haven’t had a real vacation in years, are stuck in a dead-end, minimum wage job and are sick of doing everything yourself? Well, welcome to the world of wicked whoppers, bought to you by – The League of Lesbians and Losers Looking for Love in all the Wrong Places. This is total feminist BS! Honesty, the accolades and praise that are routinely poured over single motherhood by the media are some of the most ridiculous, and outright, LIES, I’ve ever heard voiced, in the last 50 years. Single motherhood is NOT the brave new world of women! It is, instead, the MOST conflicted, contentious and confounded feminist “lifestyle” on the planet! There are NO upsides! From the day a woman is stupid enough to allow herself to be taken advantage of by a guy who has absolutely NO interest in a lifetime of commitment to her (or her possible children), she and her helpless baby are doomed to hell on earth. Hello! 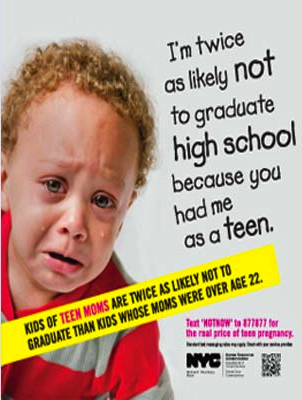 A woman, or worse yet, a teenager, CANNOT bring children up alone and expect those children to thrive. Sure, they may get by and yes, on occasion, a few may turn out OK but most will NOT! Their little lives will be incredibly more difficult, or nearly impossible, without the love, financial support and guidance of their dedicated fathers. Single mother leaving her distraught child behind, in order to go to work. Raising a child, or children, alone is exceedingly difficult. That’s why, traditionally, when a young mother was widowed, her entire family and her entire community, rallied around her and her children. On the other hand, foolish women, who get pregnant out-of-wedlock, don’t elicit that type of sympathy from others. That’s just the way it is. Most will turn a blind eye towards the woman’s abject stupidity. And, yes, they may feel some sympathy for the child, but it won’t compare to the empathy felt for a child whose dedicated father died from disease, war or an unfortunate accident. Women who bear illegitimate children ruin everybody’s day. But, more importantly, they ruin their child’s life. This kid, automatically, comes into the world with three strikes against him. No father, a full-time working mother and no communal support. Why any woman would allow this to happen to herself, and her children, amazes me!!! Single motherhood is a vicious, insufferable, life-long trap for both mother and child. Despite what radical, second-wave feminists espouse, it is, and always will be, a horribly depleted life and only a damned FOOL would think otherwise. 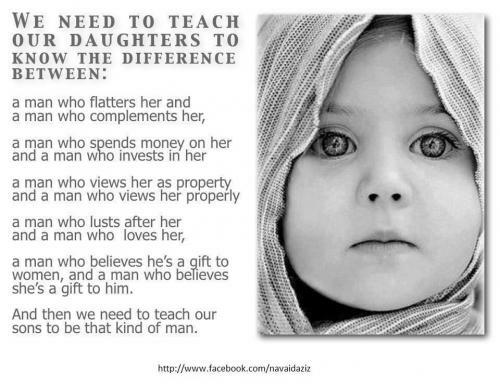 We need to teach our daughters the truth about the joy-filled lives generated through the adoption of the tenets of Christianity versus the disaster-filled lives produced through the adoption of a radical, second and third-wave feminist lifestyle. 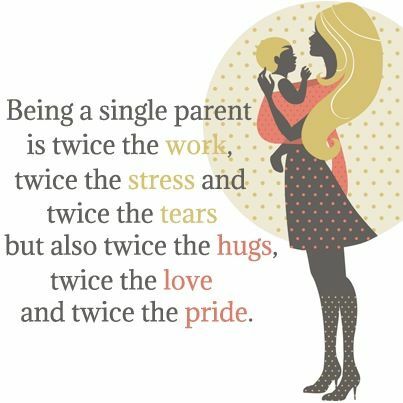 Despite what Katie Couric says, there is NOTHING “good” about being a single mother. I’m amazed by the feminist propaganda that has actually convinced most people single mothers are heroes. What is heroic about a woman spreading her feet for a man who isn’t her husband? This is nothing more than the glorification of sin (fornication), plain and simple. People are calling evil good and good evil (Isaiah 5:20). I just shake my head when I hear of women who have anywhere from four to six children out of wedlock, three different baby daddies, etc. It’s unbelievable. Agreed. It’s a depleted, demeaning, compromised and pathetic life for the women, but more importantly, it’s a devastating and dangerous life for their innocent children. That’s why, until radical second-wave feminism reared it’s ugly head in the late 1960s and early 1970s, fornication was illegal. Unlike radical feminism, which is founded on female, egocentric and selfish narcissism which promulgates the abortion of children to advance their personal “career”-based ideology, Christianity espouses selflessness, with children’s well-being as the central focus of its adherent’s lives, in both their pubic and private lives. These two philosophies are diametrically opposed to each other and absolutely cannot coexist within a culture. We can see this happening over the last 45 years as we’ve watched the lessening of Christianity’s influence mirrored by radical feminism’s rise of influence. It is NOT a coincidence that one is losing as the other is equally winning. It’s a war, and there will be only one winner. And it’s the women, NOT the men who have bequeathed this horrific world to women and unfortunately Christian men have stood by and silently watched it happen. It’s time for influential Christian men to now begin to FIGHT BACK, before all is lost! Thank you for your comment. History will surely judge this as one of the great lies of feminism, in the fullness of time. Great post. I certainly hope so. Thank you for your comment.